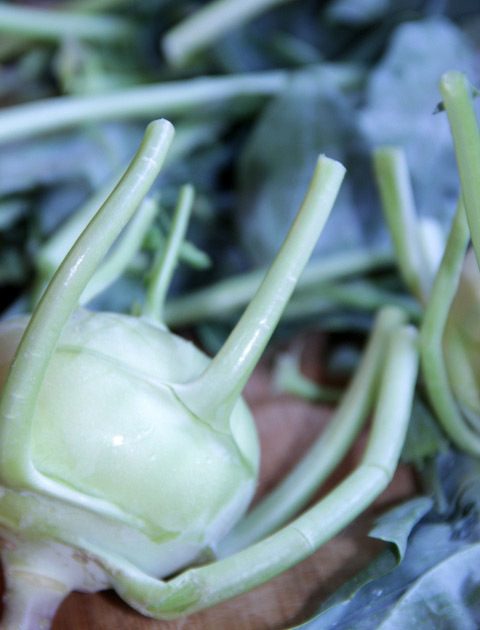 Kohlrabi is kind of crazy looking, so when it showed up at the farmers market, I had to buy it. I also buy mushrooms every week. I had to decide what to make before all my spoils spoiled, so I chose a simple quiche. Quiche might seem difficult, I guess because its French, but it really isn’t. I just cleaned and chopped the kohlrabi and mushrooms, then cooked them in the cast iron for a few minutes. I also made a pie crust, which can be hit or miss for me. This one turned out well, but I didn’t roll it out quite thin enough to make a decorative edge. 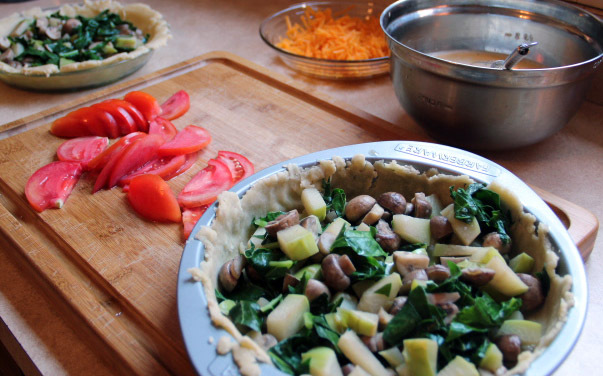 To make an even quicker quiche, buy a crust. (Though really, crust doesn’t take long aside from the chill the dough at least an hour step). 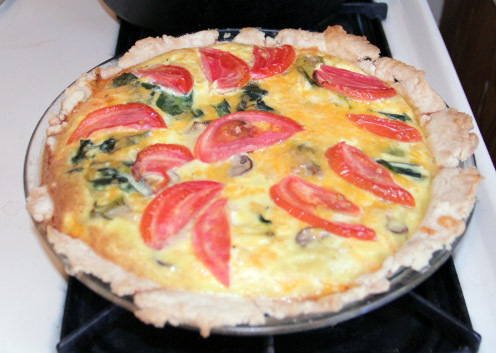 Then, I put the cooked veggies into the crusts, shredded a little cheddar cheese, sliced a tomato, and whisked some eggs with soy milk. After that, I poured the eggs in, sprinkled the cheese on and laid the tomatoes on top. I baked it for about 35 minutes, then had delicious quiche.